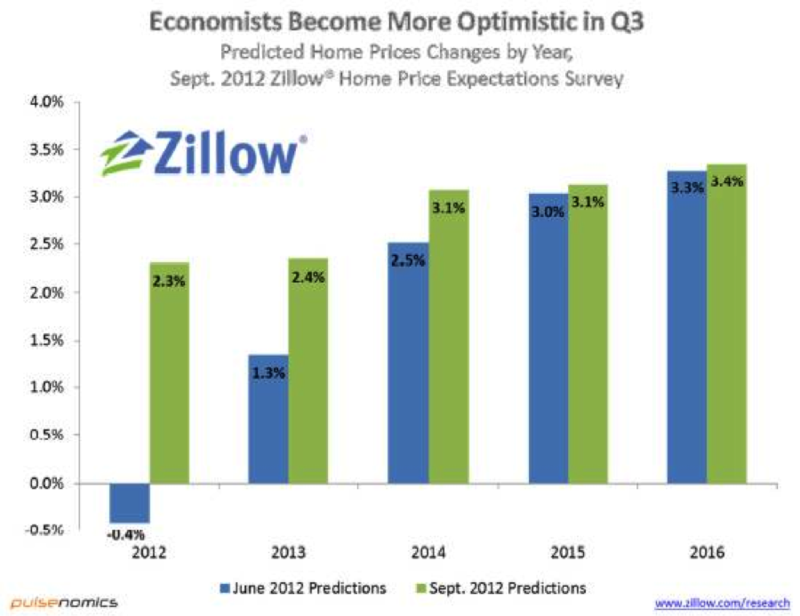 In a survey conducted by Pulsenomics and Zillow, economists now forecast home prices will rise 2.3% in 2012, 2.4% in 2013, 3.1% in 2014, 3.1% in 2015, and 3.4% in 2016. It has been a week of optimism with NHB’s Housing Market Index jumping to 40, its highest level since 2006 and Housing Starts of single-family homes increasing by 2.3%. The REALTORS® Confidence Index for single-family homes as reported by NAR remains optimistic. The index reflects current market conditions and expectations for the next six months for single-family homes. 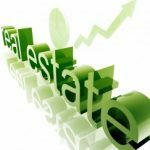 The National Association of Realtors predicts that there will be further momentum to the market provided the lending institutions loosen up the current tight mortgage lending standards. The WSJ reported that the mortgage lending is at its lowest level since the start of the recession but overall lending shows signs of uptick. With consumer debt coming back to normal levels (it was twice the GDP before the recession), the general opinion is that it is time for lending institutions to review their expectation of very high FICO scores. The Fed stimulus program announcement pushed the mortgage rates further lower. The 30-year fixed mortgage rate for the week reported by Freddie Mac slid to 3.49%, and the 15-year rate is at an all time low of 2.77%. HomeUnion®’s Cash Flow Zone, Pittsburgh is among the top 12 US cities with booming exports. The export growth was 24% from 2010 to 2011. The top export sector is mining, and the top destination is Canada. Also, Pittsburgh is among the top 20 metros with the highest salary rises from 2006 to 2011 according to a research report released by the Atlantic Cities.